Last week, as reported in Artnet, a court in France issued an order requiring the artist, his business entity, and the Centre Pompidou (a prominent French museum which had displayed the Koons work in question) to pay damages of over $150,000 to Franck Davidovici, the creator of a 1985 clothing ad called Fait d’Hiver. In 1988, Koons created a sculpture by the same name that replicated many aspects of the advertisement, although the sculpture also added and altered some elements. The judgment is interesting for a few reasons. First, and most obviously, it is just one of many copyright cases that have been brought against appropriation artists; artists like Koons and Richard Prince have been defendants in lawsuits for years, with decidedly mixed results, leading to continued uncertainty about whether and to what extent appropriation art may be ruled actionable as a matter of copyright infringement. Second, that uncertainty is compounded by the fact that (as we’ve observed before, see here) there is no uniform copyright law across the globe. Different countries have different copyright regimes and may evaluate a purported infringement differently. According to the New York Times, Koons argued unsuccessfully that his Fait d’Hiver was a parody under French law. Koons also failed to prevail on a parody defense in France last year, in yet another case involving a Koons sculpture based on a photograph. But that doesn’t necessarily mean that a U.S. court would analyze all the issues the same way; Artnet notes that French copyright law generally takes a more restrictive view of fair use than U.S. law. 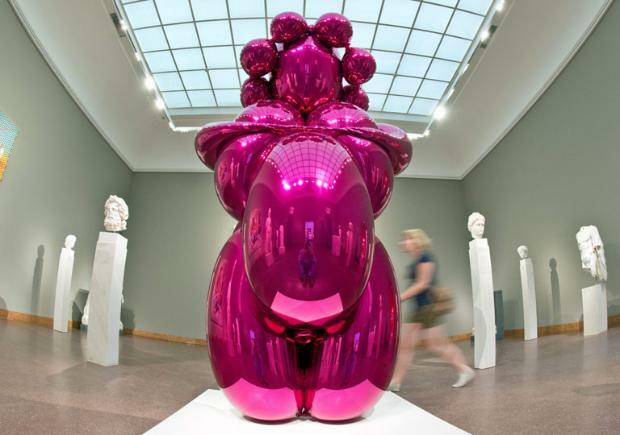 And third, while the ruling in theory holds Koons accountable for what the court held was impermissible copying, the amount he will pay pales when viewed in the context of Koons’s oeuvre; Koons works regularly sell for millions of dollars, and indeed, one of the four existing editions of Fait d’Hiver last sold in 2007 for over $4 million. This is by no means an unusual dynamic in the case law regarding appropriation artists, who sometimes make far more money on their creations than the original artist whose work inspired them. While this particular lawsuit appears to have concluded, there’s no indication that litigation over appropriation art in general will be winding down anytime soon.